The Front of the Note was designed by Will H. Low and engraved by Charles Schlecht. History instructing youth to the left to the right the Constitution, in the background the Washington Monument and the Capitol, around the borders the names of great Americans in wreaths. 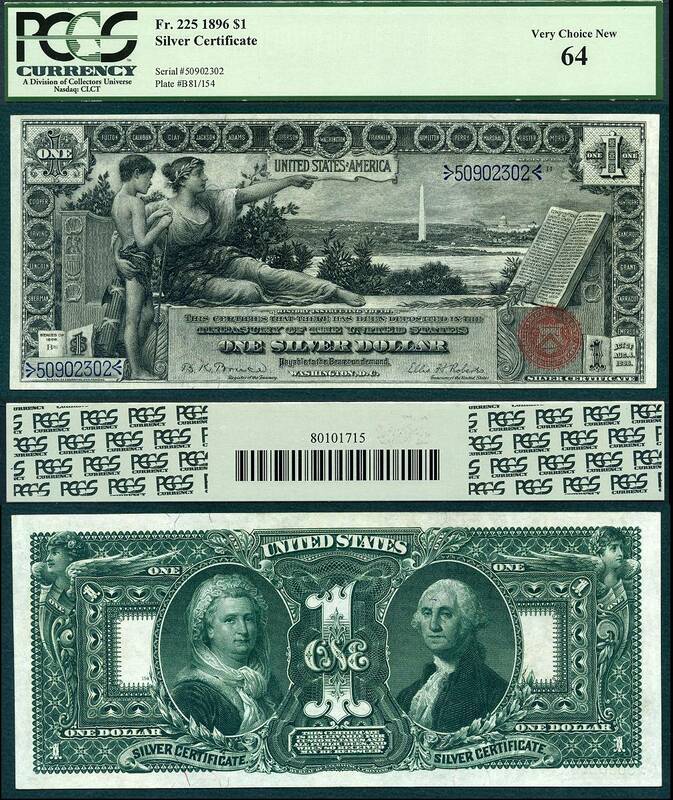 The Back of the Note shows Heads of George and Martha Washington. Thomas F. Morris designed the back from a portrait of Martha Washington, Engraved by Charles Burt in 1878 and a portrait of George Washington, Engraved in 1867 by Alfred Sealey. Priced @ $3995.00 - Email USRareCurrency@hotmail.com to inquire.